Last week, 33 Oldham Street opened as the Northern Quarter’s newest multi-story listening bar. With it paying “homage to the intimate jazz cafés and vinyl bars found in Tokyo since the 1950s”, I wanted to delve deeper into the ephemera of this audiophile sub-culture. There’s a lot to be discovered! In fact, 33 Oldham Street has a page solely dedicated to the sound system – soon to become a Mancunian celebrity. I can imagine the scene of people lining up to take selfies against these colossal speakers. However, it is not only these speakers that have caught my attention. I got talking to some experts at the 33 Oldham Street opening party and stumbled upon a legend of the audiophile world. 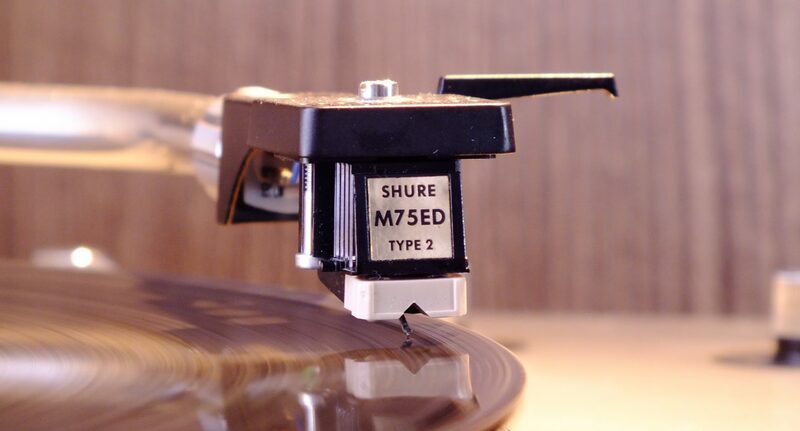 If you’re like me and have no idea about this kind of thing, you should know that each vinyl player has an arm and at the end where it touches the vinyl there is a cartridge. The cartridge is the little box from which the needle protrudes. Among aficionados, the mythical holy grail of cartridges is the Koetsu cartridge. These tiny things have a truly fascinating history. Named in honour of the Japanese medieval artist Honomani Koetsu, the company was started in Japan by Yoshiaki Sugano. Born in 1907, Sugano was brought up in the tradition of crafting swords. As a young man he spent some time boxing, before going onto to have a very successful career at Toyota. He’s said to have been true Renaissance man and when he retired at 60, due to his love of western classical music, he set upon improving the musicality of common phono cartridges. Bringing his metalwork as a sword maker and his experience in engineering, he pioneered the use of high purity materials such as 6-nines copper, 5-nines iron and rare platinum iron magnets. Combining these materials with natural elements like wood and stone, and on certain models applying traditional Japanese “Urushi” lacquers, Sugano changed the world of music reproduction. With his craftsmanship and attention to detail, Koetsu cartridges are now the Stradivarius violins of DJs, and apparently produce a rich, transparent sound that can be heard nowhere else. Where will hear you one? Well, they’re mythical. Handmade and therefore limited in nature, they seldom make appearances. But if you’re lucky enough to catch wind that one is coming to town, I’d love to know.